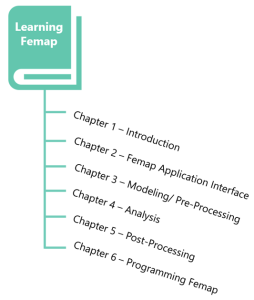 Learning Femap is divided into six chapters in the logical order of structural analysis. Each chapter covers a unique capability of the program and includes inline examples of command uses. There are three supplemental walk-through tutorials that help users jump right in. What is FEMAP and what does it do? Who Uses Femap/ NX Nastran?